The collision avoidance features of the new Hyundai Santa Fe are designed to work together to ensure the safest possible driving experience. stock. Come in for a test drive today. Swing by the Lithia Hyundai dealer in Reno today for your test drive of the 2019 Santa Fe. the SUV segment, which are often distracting and ineffective. 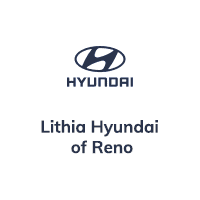 Drivers in Sparks, Carson City and elsewhere in the Reno area are welcome to come into Lithia Hyundai of Reno and learn more about the safe 2019 Santa Fe. Our friendly and well-informed sales associates are ready to answer any questions that you may have about the safety features of the new Hyundai Santa Fe. Motorists can schedule a test drive through our website or over the phone. Of course, interested drivers can simply come into our Reno location for their test drive during our business hours. We look forward to helping you discover your new dream car. Learn more about the 2019 Santa Fe Safety Tech Features at Lithia Hyundai of Reno.